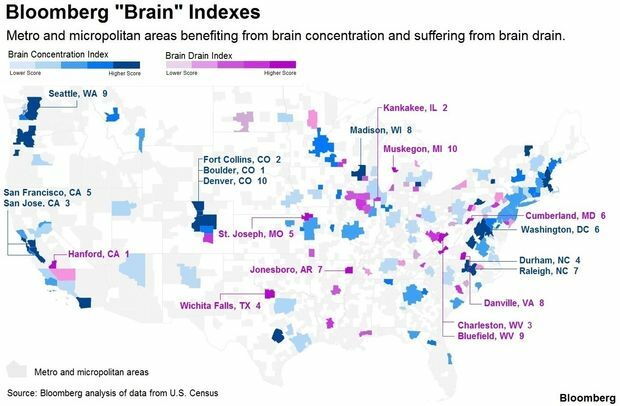 The Bloomberg Brain Indexes show cities with the highest Brain Concentration — including Boulder and Fort Collins — and the cities with the most Brain Drain. Courtesy Bloomberg. Boulder has again topped Bloomberg’s national Brain Concentration Index, with Fort Collins ranked No. 2 and Denver No. 10. The Brain Concentration Index looks at metro areas with a population of 90,000 or more, that have a high concentration of STEM workforce, advanced degree or science and engineering undergraduate degree holders, as well as a strong net business formation. Boulder scored highest with a score of 99.47, followed by Fort Collins at 97.33. San Jose, Calif. ranked No.3; Durham, N.C. came in fourth; and San Francisco ranked No. 5. 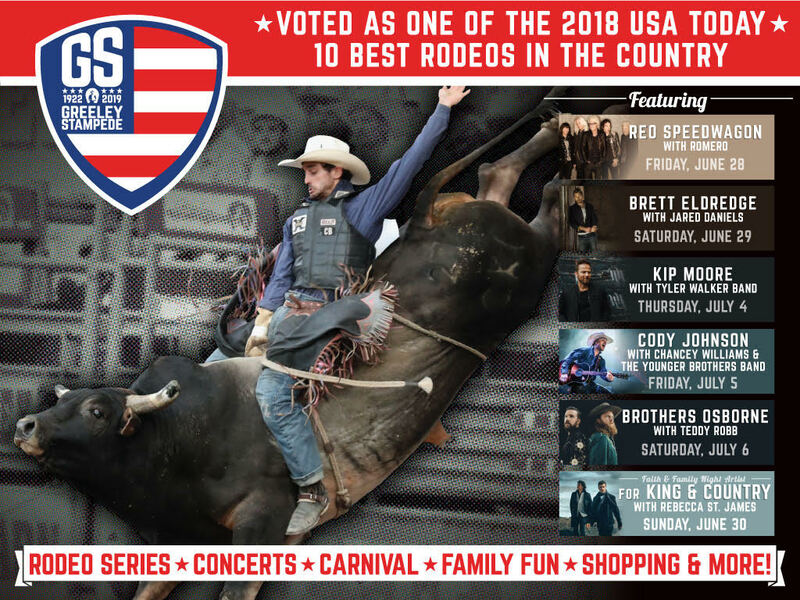 The top 10 list was rounded out by Washington, D.C.; Raleigh, N.C.; Madison, Wis.; Seattle; and Denver, which scored 94.5. Bloomberg also calculates a Brain Drain Index, which tracks the outflows of advanced degree holders and business formation, job losses and reductions in pay in the fields of science, technology, engineering and math. The worst-performing city was Hanford, Calif., followed by Kankakee, Ill., and Charleston W.Va.